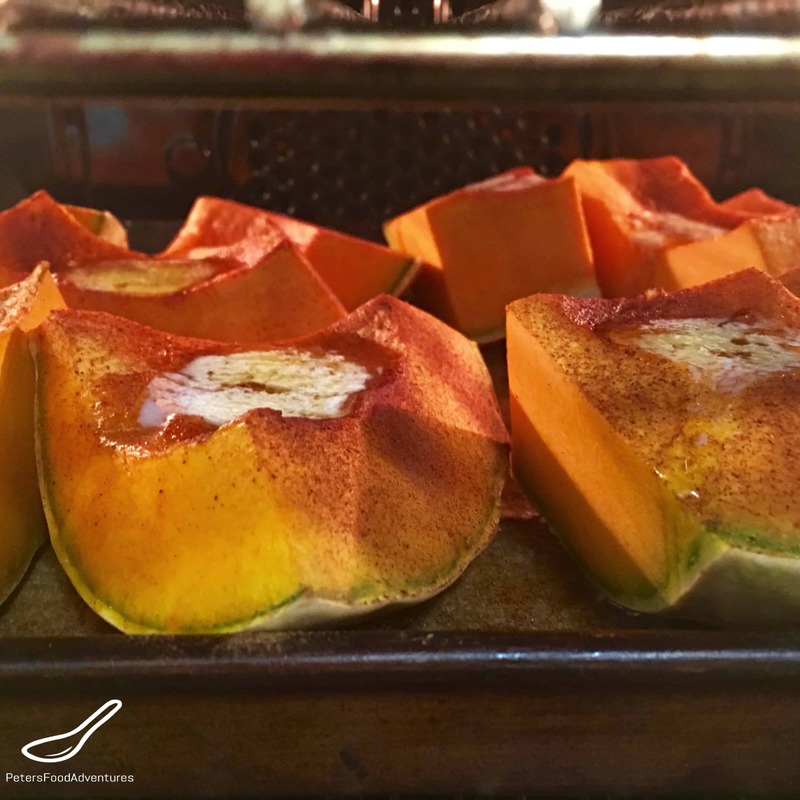 This Sweet Cinnamon Roasted Pumpkin Recipe (тыква запеченная с корицей) is an simple, rustic dessert, one I remember my mum making. We grew up with a very large garden, several actually on the same property, which provided more than enough home grown, organic fruits and vegetables. We planted in the spring, after the snow melted, and in the autumn, we would harvest the last of the vegetables and pumpkins before the first snow falls. This would always happen before Canadian Thanksgiving. Which is where this Sweet Cinnamon Roasted Pumpkin recipe comes in. Thanksgiving always reminds me of Pumpkin Pie, but we never made pumpkin pie as a child, it wasn’t Russian enough and too foreign! Times have changed now, but we used to eat Sweet Cinnamon Roasted Pumpkin instead. But I love pumpkin pie, and as a kid, this felt like I was eating that Thanksgiving staple. Cinnamon Sugar is always in my pantry, but you could also use Pumpkin Pie Spice with sugar for a richer pumpkin pie flavour. 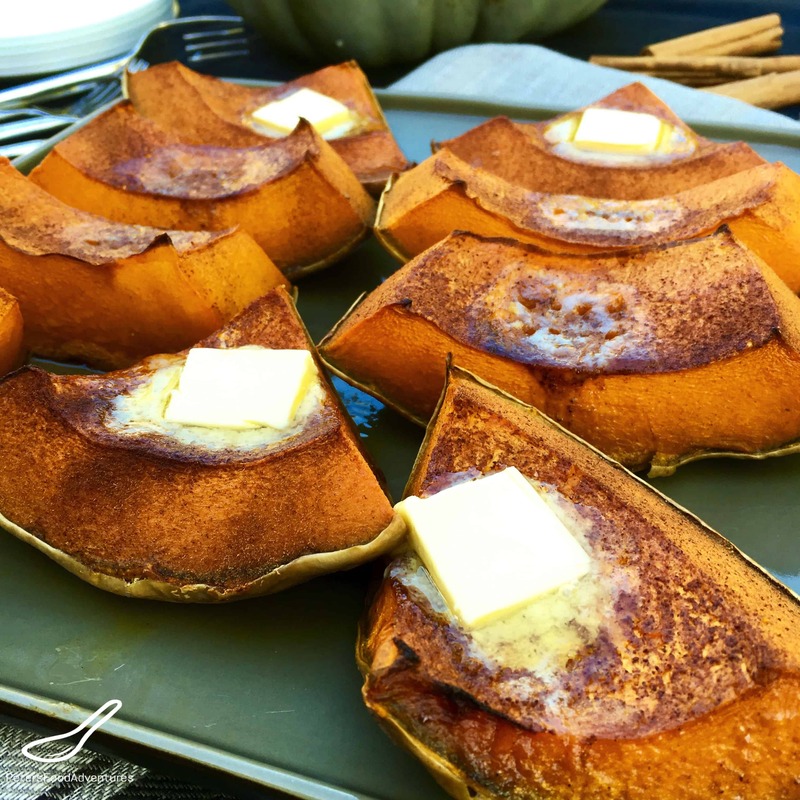 Roast Pumpkin often is made as a savoury side dish (which I love), but I love this easy, throw it together dessert. Cinnamon, brown sugar, pumpkin are all basics of pumpkin pie, but without all the work. This Sweet Cinnamon Roasted Pumpkin recipe is so easy, you almost can’t call it a dessert. Bon Appetit! Приятного аппетита! 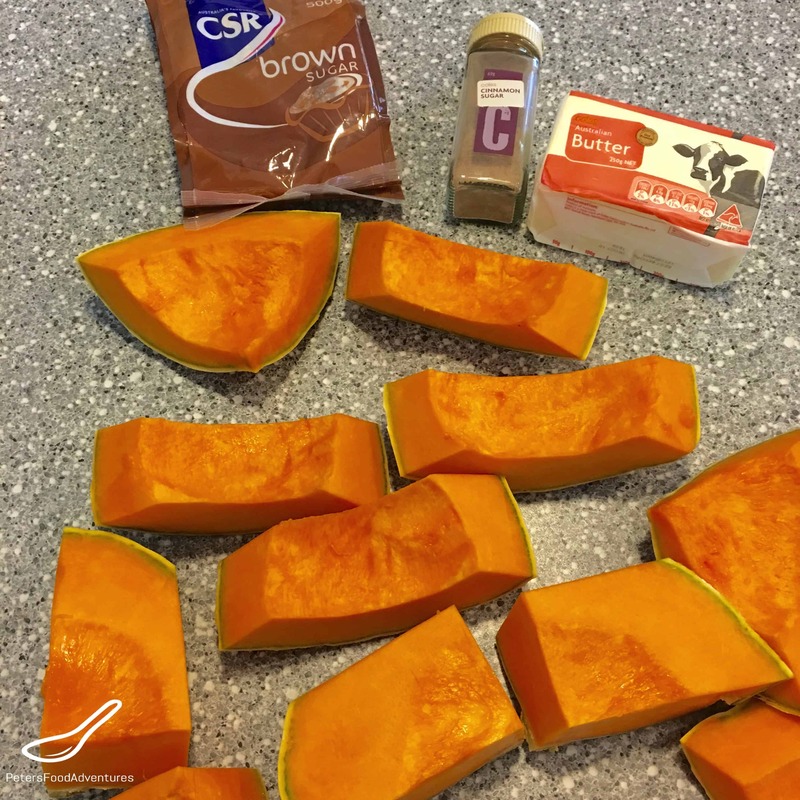 Prepare the pumpkin by cutting in half, scooping out the seeds, and cutting into even sized pieces, skin on. Place on a baking sheet and sprinkle the sugar lightly on top. 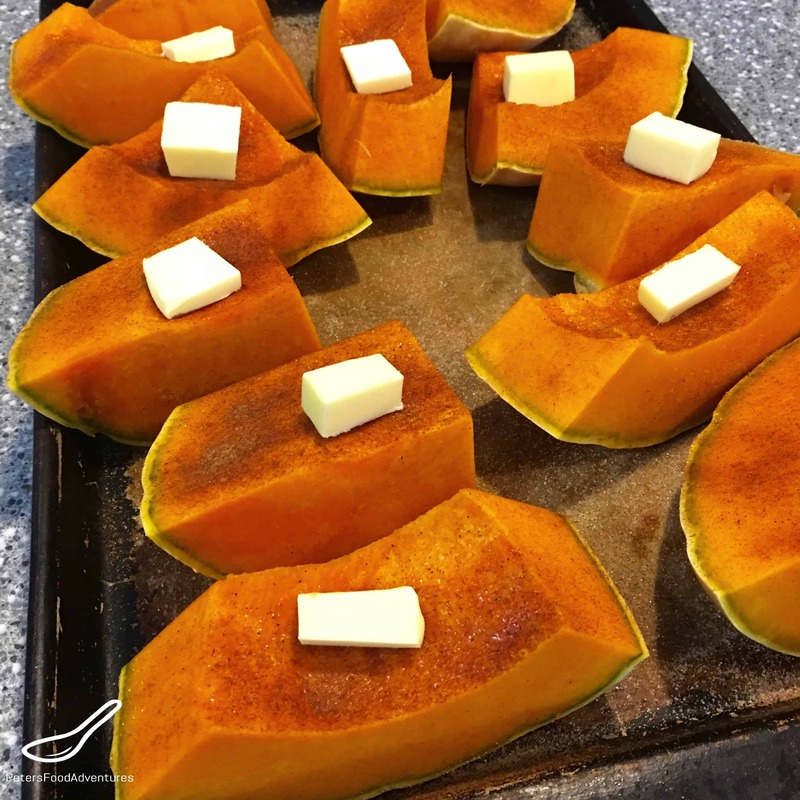 Place a small pat of butter on top of each piece of pumpkin. This will add a nice caramelization to the pumpkin. Bake for about 30-40 minutes, depending on the size of your pumpkin pieces. Cover with foil if tops start to burn. Remove from the oven and serve with a cube of butter and brown sugar. These look beautiful 🙂 I’ve not had pumpkin in ages, you’ve got me excited for autumn now! Thanks so much! I know it’s a bit early for northern Autumn, but it’s rather cold here in Aus at the moment, reminds me of Autumn! ???? Looks absolutely delicious. Great substitute for pie forsure. Wonder if I can add some peacans to the topping? Thanks Louise! Adding pecans sounds like a delicious idea!!! Great tip! I say yes to this! I love pumpkin. Thanks Koko! Me too! ??? ?